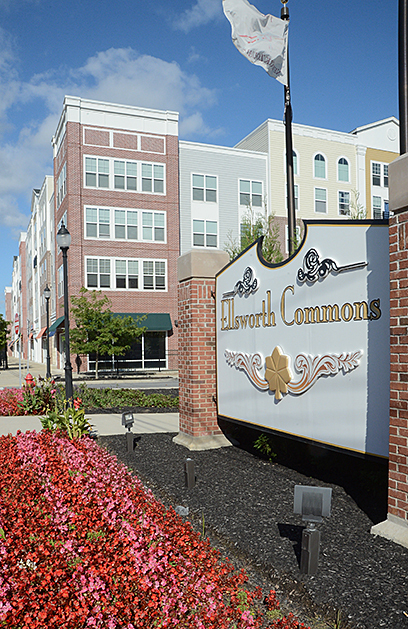 Ellsworth Commons is one of the many apartment complexes in Saratoga County. A mix of millennials and empty nesters are keeping the Saratoga rental market booming. One area property manager said that the proportion of those renters attracted to new, higher-end, apartments is far higher than the national average of 20 percent. With rents on new luxury apartments ranging from approximately $1,600 a month for a studio apartment to $3,700 a month for a larger apartment, a significant portion of the apartment market is under-served. “We are not serving the young professional needing something in the $1,000-a-month range,” said Jason Thomas of Roohan Realty in Saratoga Springs. They have to go to older properties with fewer amenities or, in some cases, join others in similar circumstances to rent a house together. Be that as it may, Thomas and his colleagues in the business are optimistic. Real Estate Agent Scott Varley Joins A New Group, Linking Up With Keller Williams Inc.
Scott Varley has joined Keller Williams Realty Inc. He has an office on Broadway. After 27 years with RealtyUSA, well-known real estate agent Scott Varley has parted company with the group with which he was a top seller. Varley has joined Keller Williams Realty Inc., a company based in Texas that is said to be the largest real estate franchise, by agent count, in the world with more than 800 offices and 149,000 associates across the Americas, Europe, Africa and Asia. Varley serves customers in Saratoga, Warren, Washington, Albany, Schenectady and Rensselaer counties. He said the move enables him, potentially, to branch out even more. With RealtyUSA he “reached the point where we had outgrown the model,” he said. “RealtyUSA is local, not national,” he noted. Varley said he did research Keller Williams for over a year and decided the time was right for a switch. 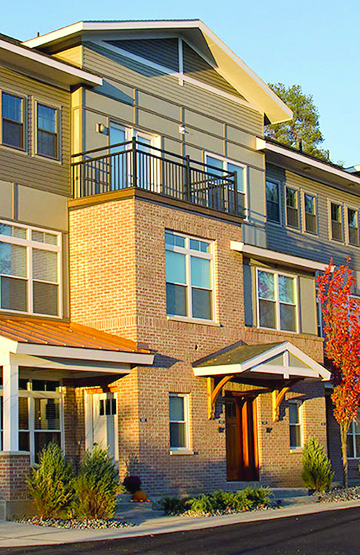 The Lofts at Saratoga BLVD in Malta will have 214 townhouse-style apartments. The Lofts at Saratoga BLVD is one of Malta’s newest apartment communities offering maintenance-free living and many of the amenities that are becoming staples of apartment living. According to Robert Hayes of Hayes Development, the company broke ground on the $36-million project in 2014 and, when the project is complete, there will be a total of 214 townhouse-style one- and two-bedroom apartments, with attached garages. Hayes said the recent announcement made by GlobalFoundries to invest $1 billion at its Malta facility in the next few years will continue to fuel both residential and commercial growth in the surrounding area and his company will continue to pursue real estate development projects in Saratoga County. To date, 122 units have already been completed and Hayes said they have a 95 percent occupancy rate. He expects the remaining 92 units to be ready for occupancy by Spring 2017. Hayes noted that the market studies his company performed all indicated that it would take approximately six months to achieve full occupancy once the units were finished. In the Capital Region sales jumped 4 percent to 1,183 houses sold in the region during August 2016, according to the Greater Capital Association of Realtors (GCAR). According to data released in September, the city of Saratoga Springs had 61 new listings in August, compared to 46 in the same month of 2015, a hike of 32.6 percent. There were 39 closed sales, up 11.5 percent from August of 2015. The number of closed sales in the city rose from 35 to 39, an 11.5 percent hike for the month, and the median sales price dropped in August from $381,000 to $351,000, a dip of 8.1 percent. Overall in the region, GCAR said the number of homes for sale was down compared to this time last year. Inventory levels market-wide decreased 24.7 percent to 6,554 units. Months’ supply of inventory was down 34 percent to 6.6 months. Demand is showing no signs of changing as inventory continues to decline. In the Capital District, new listings dropped 3 percent from August 2015 to 1,652 homes placed on the market last month. Sellers are receiving 95.2 percent of original list price, with homes spending an average of 63 days on market until sale. Greater Capital Association of Realtors President Marie Bettini of Albany Realty Group said now is the time to sell. “As inventory continues to drop, the contradictions in this market are evident. Sellers should feel confident enough to list homes at fair prices and receive meaningful offers in a healthy residential real estate and overall positive economic environment,” Bettini said.